An insider's exposé of how global brands such as Apple, Starbucks and Nike influence us subconsciously (and how we risk turn into brands ourselves). Jungian psychoanalyst and former brand director, Max Jakob Lusensky articulates Carl Gustav Jung’s view, that the more we project our desires externally, the greater the impoverishment of our inner selves. He makes us aware of the subconscious ‘dreams’ that are lived out through brands today. A process where we ‘outsource’ emotional needs to the brands of our marketplace. The danger can be prevented through a process he terms de:branding: the becoming conscious of the unconscious desires we project onto brands. 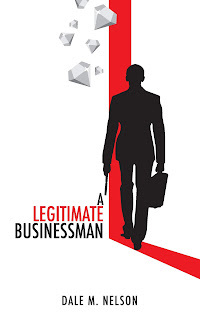 The book is an invitation to disenchant the magical brands of the marketplace that the Madmen of Madison Avenue and the Magicians of Silicon Valley have worked so diligently to spin for us. How global brands such as Apple and Starbucks are using not logotypes, but archetypes to connect with our subconscious. How Brand Psychology works and how to de:brand a corporate icon. How the marketplace today has moved from the outside world to inside our minds. Why humans are turning into personal brands while products get more human attributes. 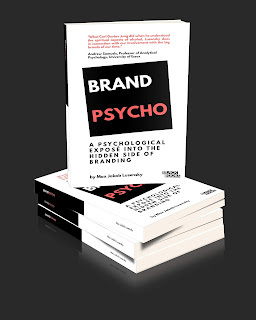 This searing exposé reveals the hidden side of branding, explains how brand mythologies are built, and raises the question of whether we're all becoming brand psychotic.